The flavor of these pouches is a smooth, non-abrasive licorice flavor. It definitely tastes like licorice but not so much that it feels like you’re chewing on some licorice candy – which is good cause I am not into licorice candy at all. Compared to the Oden’s Licorice portions this one is a lot more gentle – and feels a bit more ‘high class’. 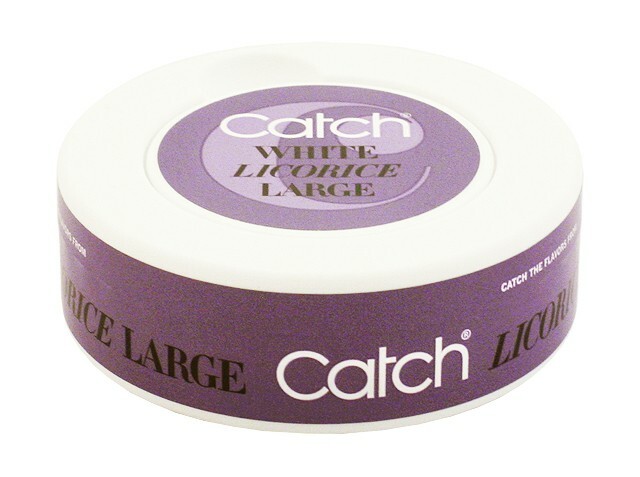 If you are a licorice lover then this just might be the perfect snus! As someone who’s not into licorice I can still use it (just that alone is a good sign) but probably wouldn’t buy 10 cans of it. It definitely smells like licorice when you open the can but it is, just like the flavor of the pouches, a very smooth kind of smell. I would almost want to call it a more natural licorice scent rather than a faked, chemical kind of scent.. All you licorice lovers out there would love it! The pouches are just like most other brands of white portions, nice clean and very soft, I’d say they’re comparable to for example Ettan White Portion pouches both in look and texture. The nicotine content is medium strong, just that perfect amount you’d want when watching a good movie, doing household chores or reading a book – just enough to give you a nice buzz but not so much that you start feeling like you’ve smoked 5 cigarettes in a row and star getting dizzy! There’s not much of a burn with these pouches, it’s moist in a white portion sort of way – meaning you won’t have to peel off your skin when you take it out but it also won’t make you spit every two seconds so.. pretty much perfect! The size of the pouches are good too, not too big and not too small. I think as far as licorice snus is concerned this is the best one you can find (at least the best one I have ever tried!). I personally wouldn’t buy this since I don’t like licorice, but if I came across someone who likes licorice I would absolutely recommend it in a heartbeat! 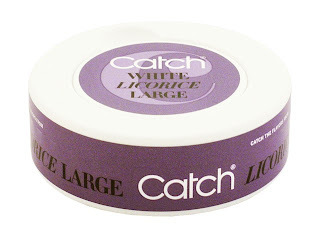 1 comment on "Catch Licorice, White Portions Review"
I love the feel of Ettan portions- when it comes to liquorice I always hesitate and go for Laktis/aniseed flavors instead, I find the smell to be a bit overwhelming most of the time.